Days 4 & 5 - Kid Made Christmas Ornaments - Crafty Mama in ME! 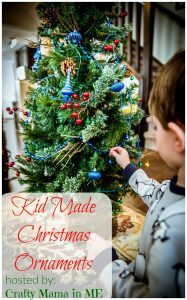 Welcome to Days 4 and 5 of the Kid Made Christmas Ornaments Series. Thanks for stopping by again – be sure to check out the three awesome ornaments shared below! What can you do with leftover buttons? 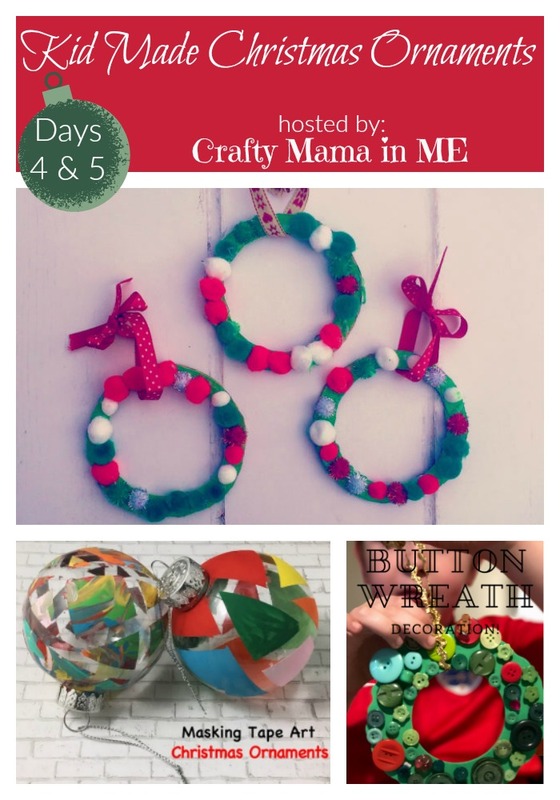 Make an awesome Christmas Button Wreath – find out how from Jenny at The Gingerbread House. Do your kids love to paint? If so try out these fun Masking Tape Art Christmas Ornaments from The Joy of Sharing. Take a peek at these fun Pom Pom Wreaths from Clare’s Little Tots!